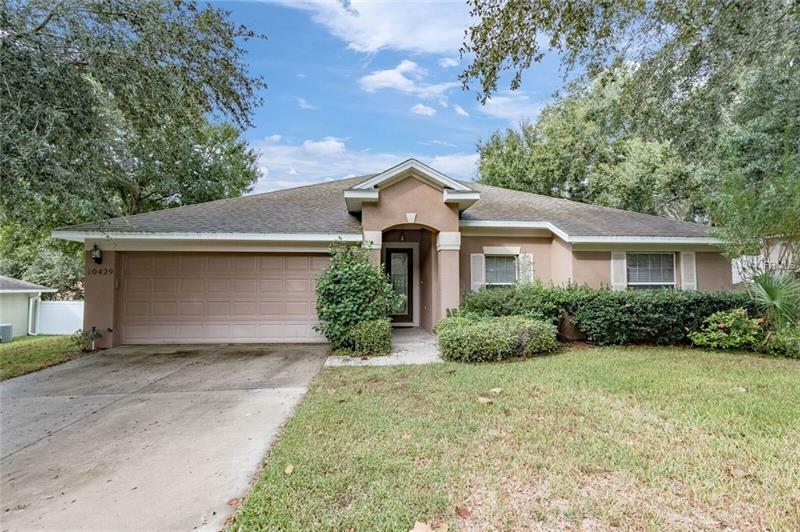 This beautiful 3-bedroom/2-bath home is a fantastic find. It sits back from the road on almost Â¼ acre lot under mature trees. Inside you will find an open layout with vaulted ceilings and elegant hardwood flooring throughout the main living areas. This beautiful home features a large family room opening to a modern kitchen with GRANITE countertops and rows of beautiful cabinetry. A large kitchen nook gives you plenty of room for seating and overlooks the private backyard. The split floor plan features a spacious master suite and an adjoining bath with dual vanities, GRANITE countertops, walk-in shower, and jetted garden tub. Two spacious bedrooms and a guest bathroom with GRANITE countertops are on the opposite side of the home and tucked away for privacy. Enjoy relaxing on the screened lanai in the evening or sipping that first cup of coffee in the morning. This home is easily accessible to the highways. It's a great find and will not be on the market long so donât miss your chance to own it!